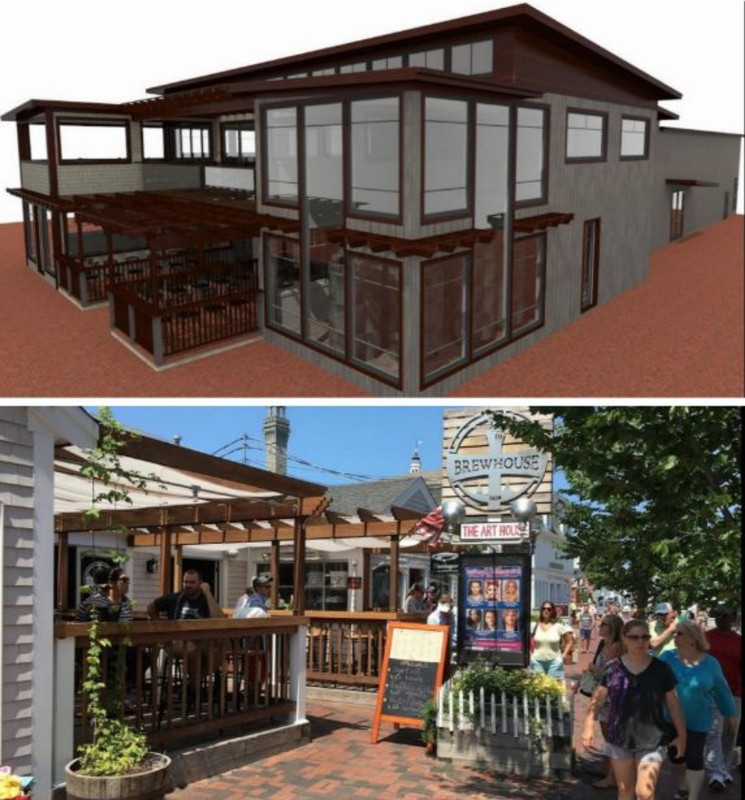 Earlier this week the owners of the Provincetown Performing Arts Center (a.k.a. The Art House) shared rendering of a newly expanded building. On Monday, March 11, the owners plan to share the details of the redesign at the Board of Selectmen meeting. The new design will house 167-seats for shows, include new balcony-level seating and separate entrance, lobby and projection capabilities. If approved, the new venue will open next year in the summer of 2020. Even though summer is still a few months away, signs of spring will be here soon and with January and February now in the past, the days are getting longer and (hopefully) warmer in the coming weeks. One of Sergio and my favorite places to visit is Provincetown. In the coming weeks signs of life will return as stores and restaurants begin to open on the weekends. 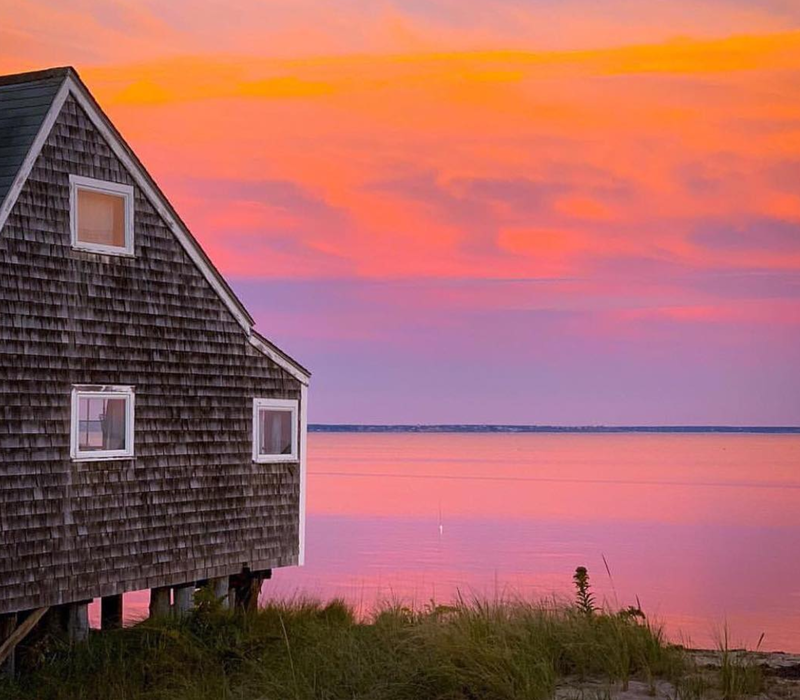 To help those of you who are suffering Ptown withdrawals, I’d suggest you consider following this Instagram account which takes one beautiful photo after another of this quaint, New England seaside fishing village and gay haven. Follow this account on Instagram here, instagram.com/provincetowncom. Get Outta The Cold And Into The Heat! Snowbound Mates Leather Weekend XII in Provincetown is next weekend (February 22-24). The annual winter weekend party is produced by Mates Leather Weekend and Full Kit Gear and this year the weekend includes events at The Watership Inn, The Atlantic House, Bayside Betsy’s, The Crown & Anchor and Gifford House Inn. All the fun starts on Friday, February 23rd with a Beer Blast at the Watership Inn from 6-8 pm followed by the slightly more frisky if not risqué White Out & C*ck Party at Paramount, starting at 9:30. Parties and events run through out the weekend and you can see the full list of activities by visiting the official website, matesleatherweekend.com/snowbound. Each year The Provincetown Compact offers several artist and writers residencies in the historic Fowler and C-Scape (shown below) dune shacks located within Peaked Hill Bars National Register Historic District of the Cape Cod National Seashore. The shacks are primitive lacking electricity and indoor plumbing — and isolated, allowing for uninterrupted solitude and refuge. The Compact funds, or partially subsidizes, residencies for three visual artists who are selected by jury and for two writers who are selected by lottery. The top recipient of the artist residency will also receive a $500 fellowship. About The Provincetown Compact: The Compact was established in 1993 as a 501(c)3 non-profit organization by artist Jay Critchley. It is organized as a community-building and philanthropic organization to support living artists and the vitality of the arts community. Their initiatives include: The Swim For Life, Dune Shack Residencies, our Think-ubator program and Prayer Ribbons. For more information visit, thecompact.org. Provincetown’s annual holiday celebration, Holly Folly, is back this Friday and continuing with activities through Sunday. Festivities include traditional caroling to the more eye popping Speedo run down Commercial Street. Events include a little something for everyone (not to mention some great sales for those looking for retail therapy away from the hordes at the malls). Provincetown’s annual Spooky Bear Weekend is always a fun way to celebrate Halloween. With the holiday falling in the middle of the week, Spooky Bear is being celebrated this weekend from October 26-28. There are plenty of parties and events happening throughout the weekend, but I wanted to highlight a few if you happen to be heading to Ptown this weekend. Have a wonderful time in Ptown this weekend. 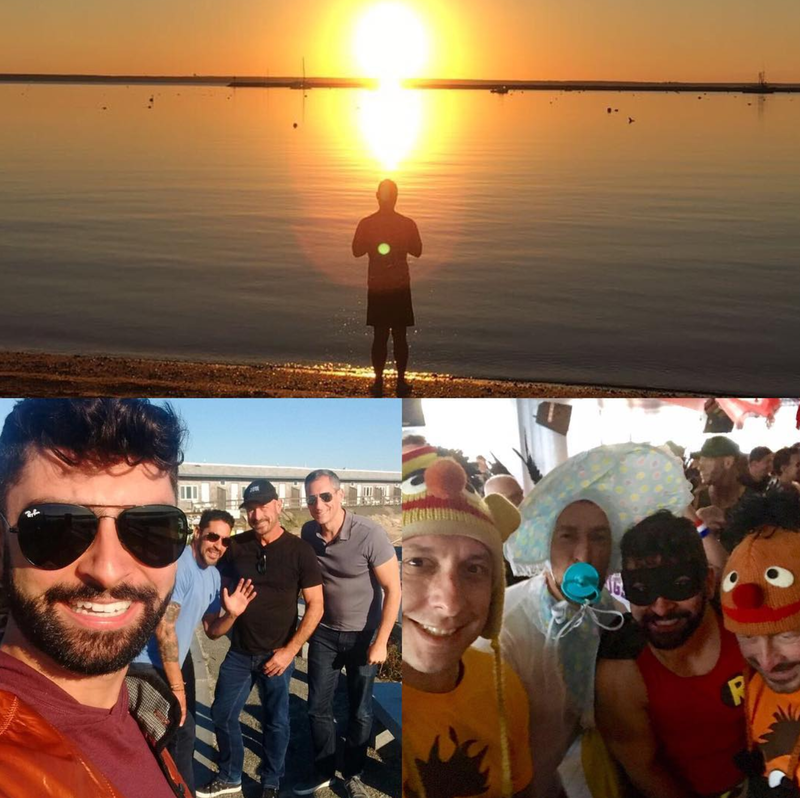 Mates Leather Weekend (MLW) in Provincetown is an annual fetish event that first started in 1996 after the summer season. Over the years it has grown and is an annual event hosted each September for men who want to hang out, socialize, relax or party with other like-minded people in Leather, Rubber and Uniforms. A partial list of events for this year’s MLW include the following. Waterfront Cocktails at Harbor Lounge drop in from 12:30 – 3:00PM for an afternoon cocktail (or two). Last Year’s Photos. Uniforms and Cigars at Paramount what’s your favorite uniform? Dance under the stars at this cigar-friendly fetish dance party with DJ Chris Racine and MLW resident bootblack Jay Falcon to shine your boots. Last Year’s Photos. Leather Tea & Meet the Meat at A-House from 6-9PM dance to music from DJ Wayne Michael and have fun at “Meet-the-Meat”, a cash-prize contest hosted by First Mate emcee Russell Sweeney. First Mate Contest at Paramount starts at 9:30PM but contestants must submit their registrations by 2:30PM on Friday. Click here to print your First Mate Contestant registration form. Last Year’s Photos. Cookout and Tattoo Contest at Crown & Anchor from 11:30AM – 2PM the grill will be fired up and serving poolside hot dogs, hamburgers and salads (vegetarian and gluten-free items available) at Crown & Anchor. The annual Tattoo Contest starts at 1:00 PM. Last Year’s Photos. Lumberjack Party at Paramount from 4-8PM enjoy this sticky, steamy annual favorite fetish party; jockstraps encouraged and clothing check available. To see a complete listing of official events visit matesleatherweekend.com.